I often report on events involving others, but this time I am going to plug an event of my own. Saturday, May 10, 2010 immediately after the business meeting of the Tunkhannock Chapter of the Daughters of the American Revolution which is scheduled for 1PM, I am presenting a slide show entitled "Baskets of America" at the DAR Room, Wyoming County Historical Society Building, corner of Harrison and Bridge Streets, Tunkhannock, Pennsylvania. 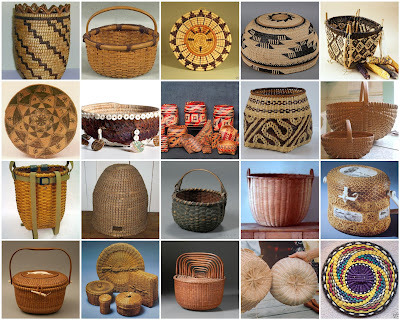 The show will feature historic regional and cultural American Basketry styles and will introduce participants to the basics of recognition and appreciation of various American basketry traditions. I hope to welcome you there.